the guitars a beautiful effect. Stars or musical notes can be added also. 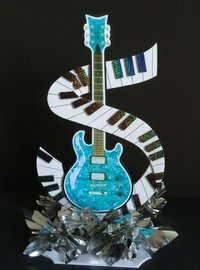 How about a guitar with cut out words or maybe your name! These guitars can be 21" or 36" (½" thick) AND have words on either side AND they can be different words! Maybe you'd like a name, date, age, etc. on the reverse side. 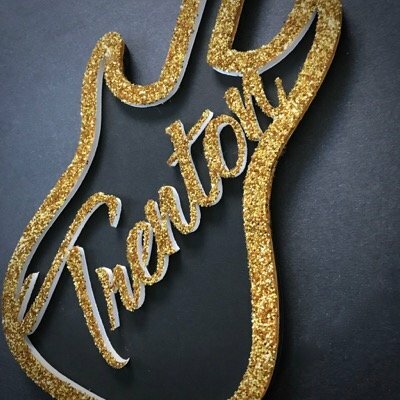 The guitar outline can be any color glitter and the insert behind the words can be any color too. 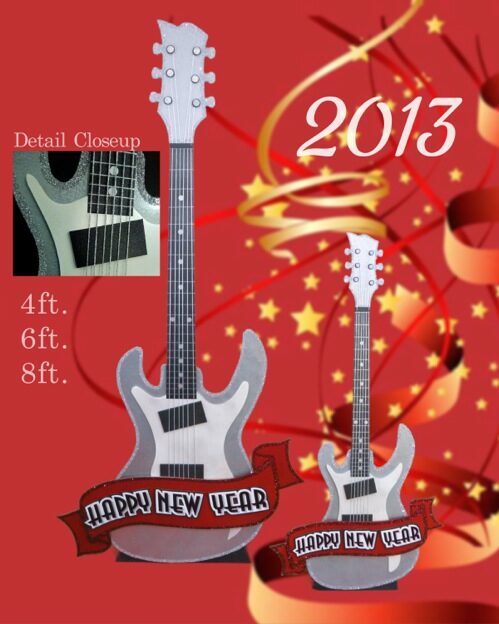 We can make more 'graphic'-styled guitars instead of photo realistic ones. 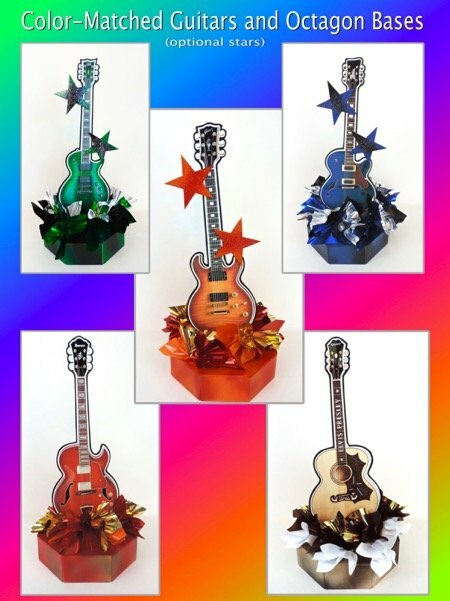 artistic styling to the guitars if you are looking for that look.